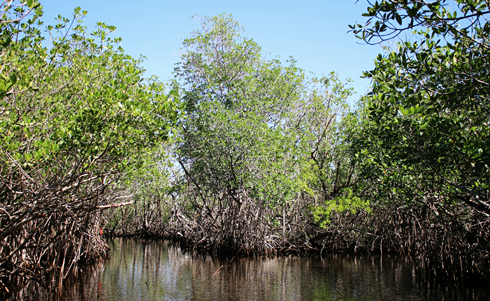 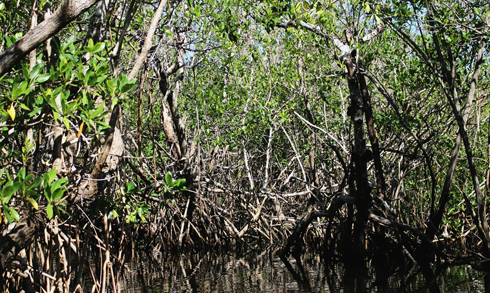 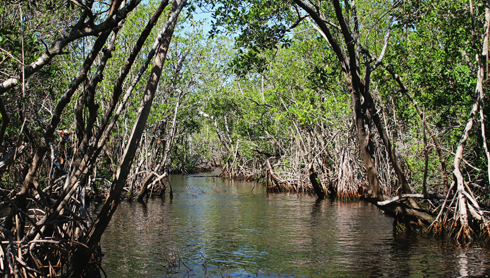 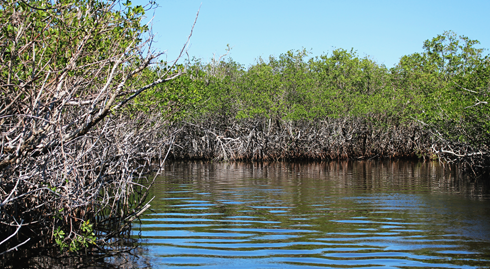 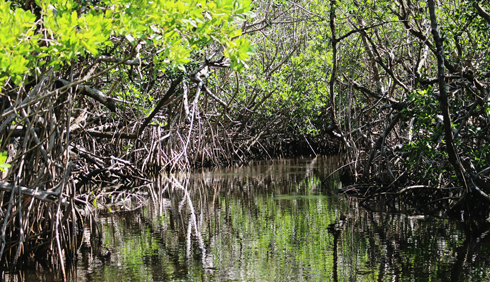 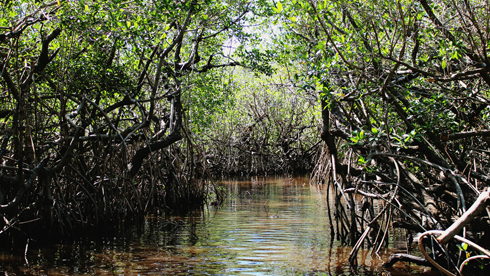 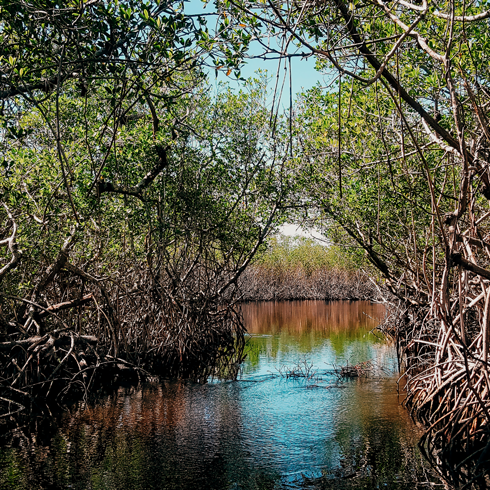 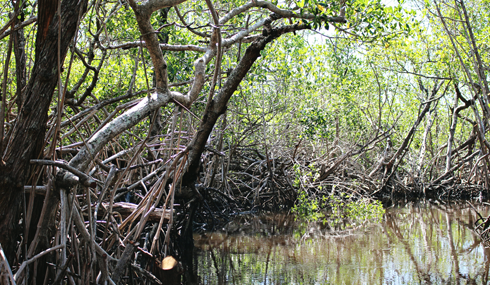 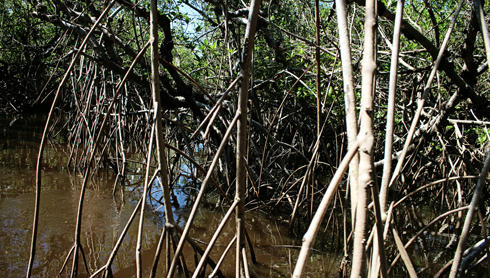 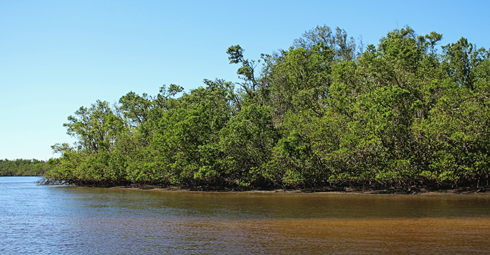 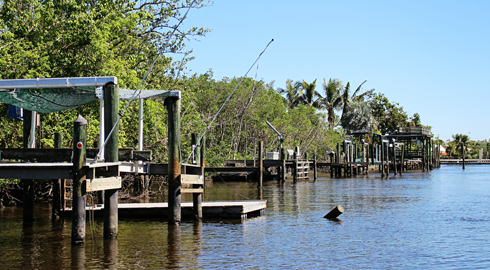 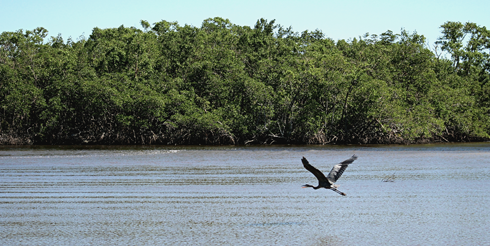 The mangrove jungles and tropical wetlands that make up the Florida Everglades are an incredible natural wonder that are best explored up close and on the water. 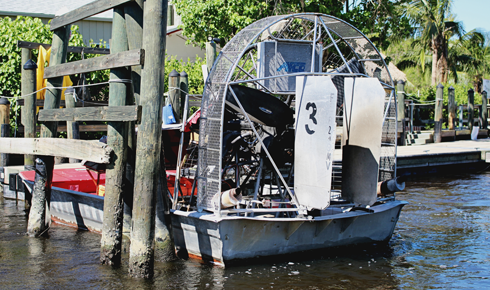 In visualizing a few iconic Florida scenes for my travel photography series, the idea of airboating through the Everglades in search of alligators was an experience that I knew I had to make happen. 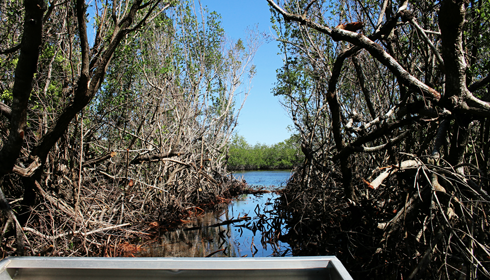 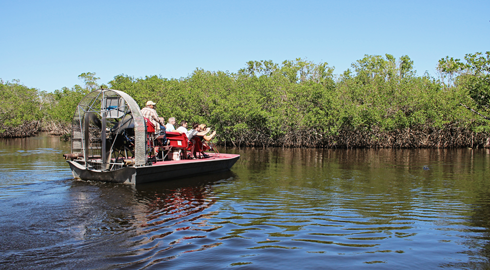 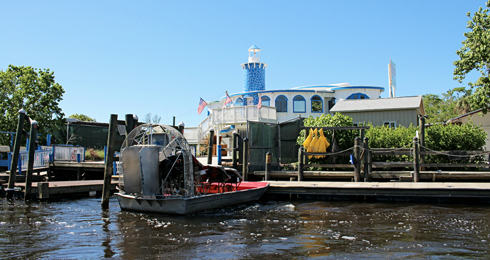 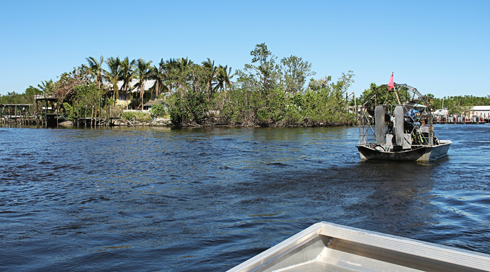 I chartered an airboat out of Everglades City on the western side of Everglades National Park. 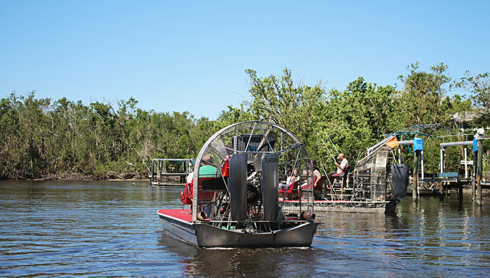 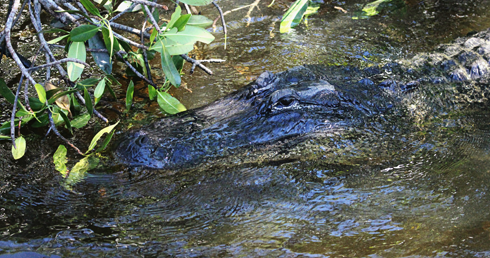 While there are a number of airboat tour operators to choose from in the area, I opted for a private airboat charter to somewhat customize the exploration (and because I wanted to guarantee that we'd have enough time to find alligators in the wild). 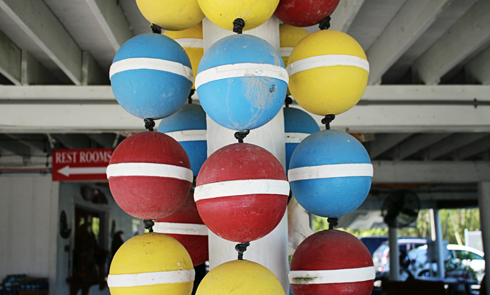 I can't fully express just how much fun it all was. 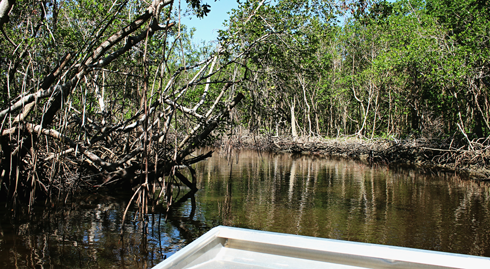 From racing through long corridors in the mangroves to drifting in the open water, the airboat ride alone was a rush. 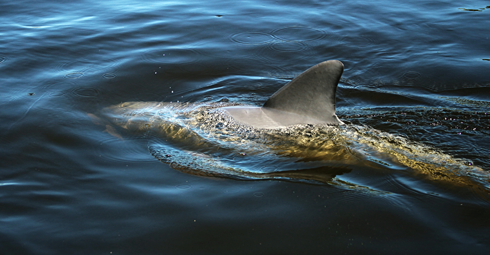 The very first bit of wildlife we spotted was a small pod of dolphins feeding. 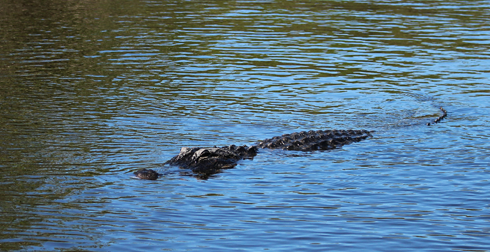 They popped up right next to the airboat and continued to swim around us for about 15 minutes. 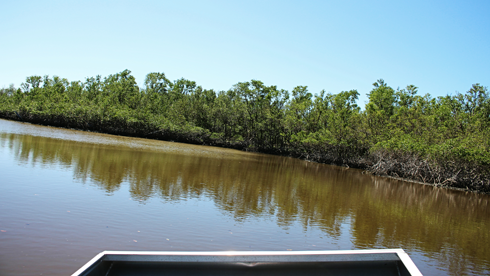 We then ventured further into the Everglades in search of alligators. 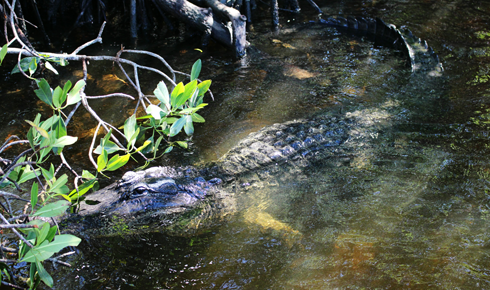 We had been looking for about an hour without any luck, but with a lot of alligator-looking logs pointed out. 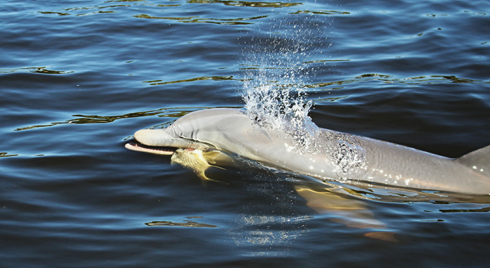 Then it finally happened. 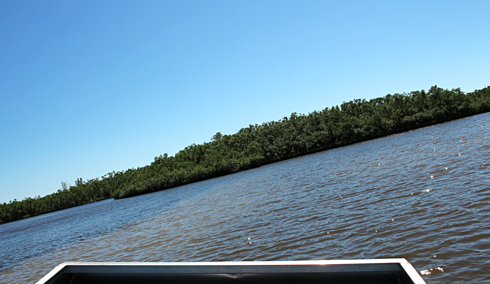 Off in the distance the captain had spotted something. 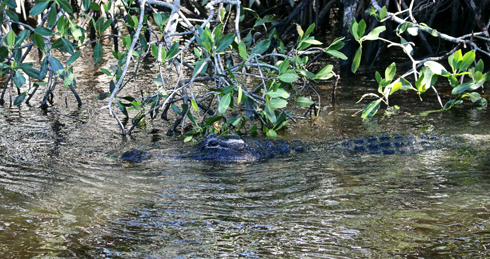 We inched closer and there it was, my very first alligator sighting in the wild. 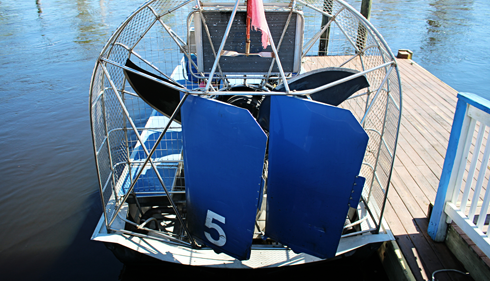 We were no more than 3 or 4 feet away, and as I snapped my pictures and soaked up that moment, in my head I was thrilled to finally be crossing this amazing airboating adventure off of my bucket list.